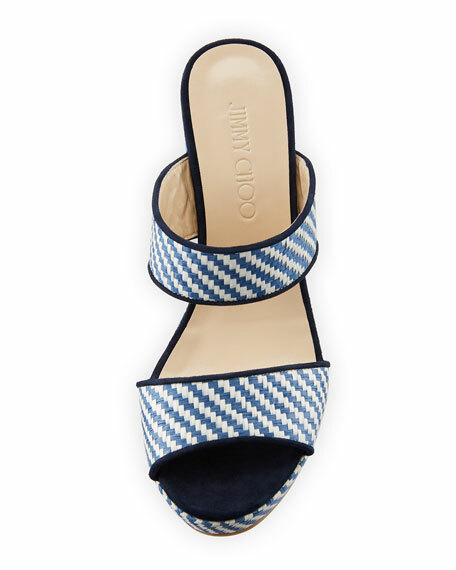 Jimmy Choo woven raffia sandal with suede piping. 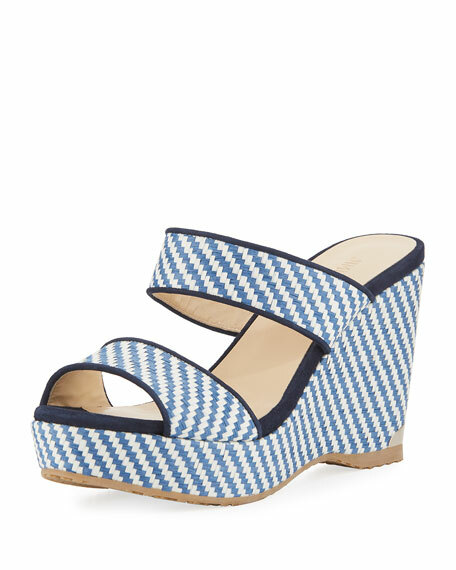 4" raffia wedge heel with platform. "Parker" is made in Spain. 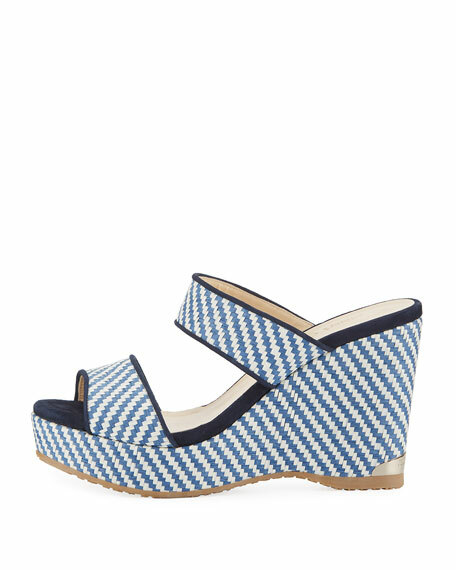 For in-store inquiries, use sku #2349339.